Style + Function = New Deluxe Metal Dynotags! Spice up your travels with our New Deluxe Metal Tags! At Dynotag, we love building new products and features requested by our customers. Our new Deluxe Dynotags look sharp while keeping your belongings safe! Our tiny, versatile zipper tags are a hit, helping moms, sports and outdoor enthusiasts attach dynotag smart tags to coats, garments and outdoor gear of all kinds! Our new styles of synthetic, tough and colorful Luggage Tags and Mini Tags are finding their place on thousands on luggage, keychain and bags every month! But – you have been asking us to develop a line of tags that are even tougher yet stylish enough to go with your nicest bags, keys and luggage. So, we developed a complete line of deluxe tags that are made of tough steel yet look great under the toughest conditions! Our Deluxe Round Metal Property Tag looks great on your handbags, electronics sleeves, outdoor gear. Included steel ring makes it easy to attach it to zippers, loops, handles, etc. on your bags and gear. Our Deluxe Metal Keychain Tag includes a large split ring, ready to start working right out of the box! No car key ring should be without! Our latest addition, Deluxe Metal Luggage Tag comes with a braided Stainless Steel loop for secure attachment and looks great while withstanding the most demanding adventures of road warriors! Best of all, our Deluxe tags, like all our other consumer products, come with lifetime Dynotag Cloud Service (DCS) subscription, working for you 7/24! 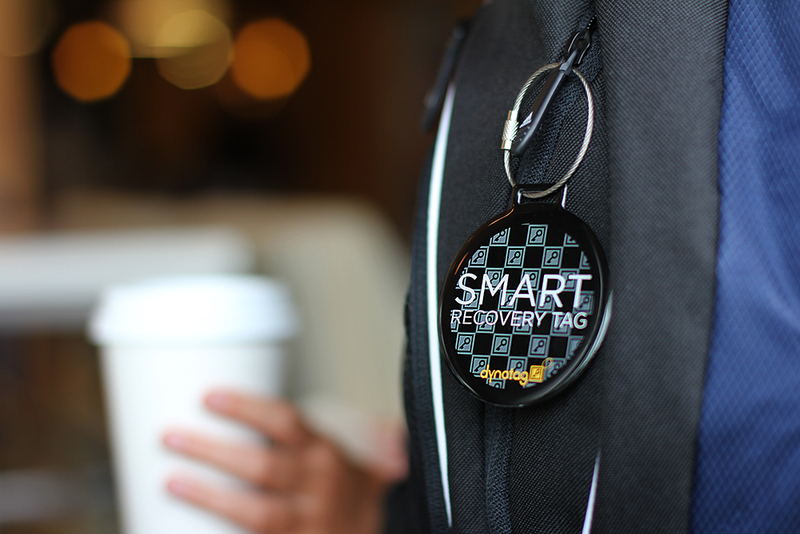 Share your one or more nice, sharply focused photos of your dynotags in daily use in Dynotag’s Facebook feed OR attach it to the e-mail in the next step. Your photos will find a home on our customer photowall and galleries to inspire fellow dynotaggers! *: Offer valid in the U.S. addresses will receive merchandise or complimentary dynotag credit. Outside U.S. a complimentary dynotag credit will be credited to the account.